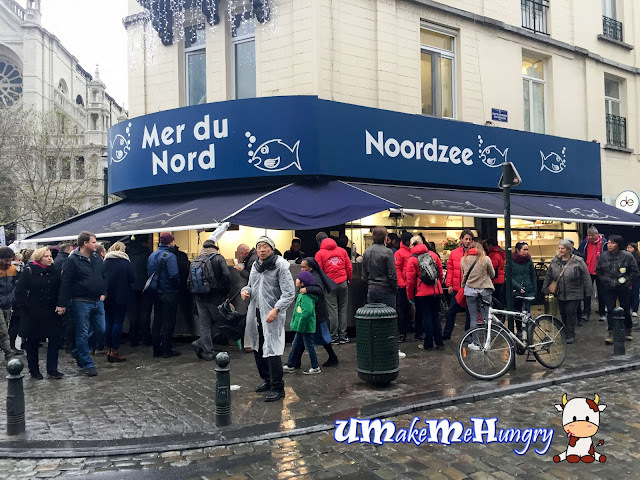 Before it even reaches 5pm, Noordzee Mer du Nord was seen surrounded by people waiting for their seafood. Noordzee Mer Du Nord was one of the hit spot recommended online where one can enjoy some wine and seafood over at the counter or even with a dine in session. We made a mistake by returning back the store after a walk round the vicinity as many of the seafood were sold out when we were back on that rainy day. The entire place was an eye opener with open concept from storage of seafood to cooking them on the spot over the counters. 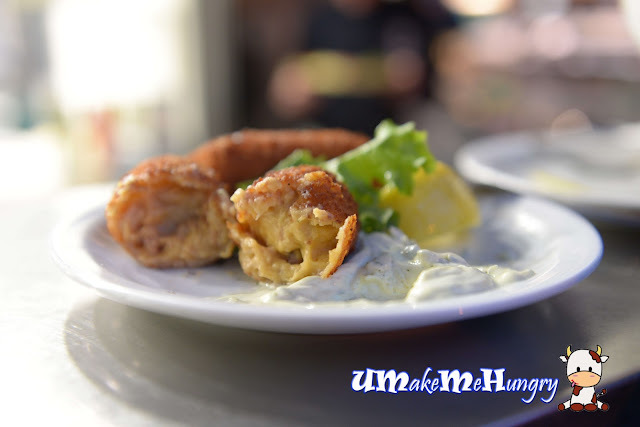 What I truly enjoy was the entire process where the preparation of food came close to my eyes, just right in front of me. Ordering process is rather straight forward, you order and paid on spot, thereafter when your food is ready, your name will be called. I have no intention to consume any "unusual" sea creature but that dish seemed to be one of the last few items for sale and I had no choice. When asked what was that, they explained as "Sea Snails". I'm not a snail person and you should know this bowl of seafood soup just would not entice me much. However some hot soupy stuff would warm our body under the cold and rainy weather. 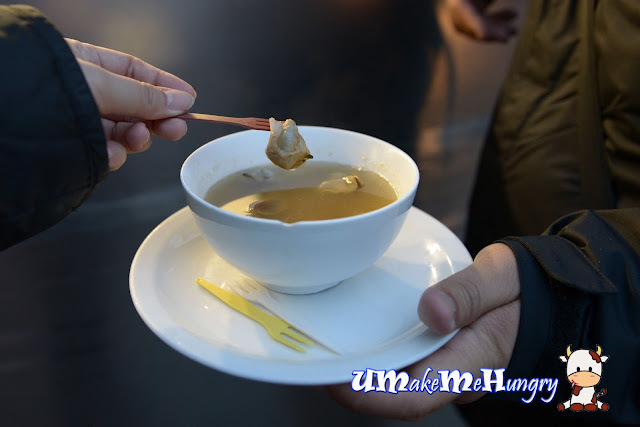 The snails were pretty yummy surprisingly but the soup was overly salty. With herbs and spices enhancing the sweet pan seared scallops and dipping them onto the sweet mayonnaise, it made this simple meal so perfect. Texture was perfect with some parts of it charred and was easy on the jaws. 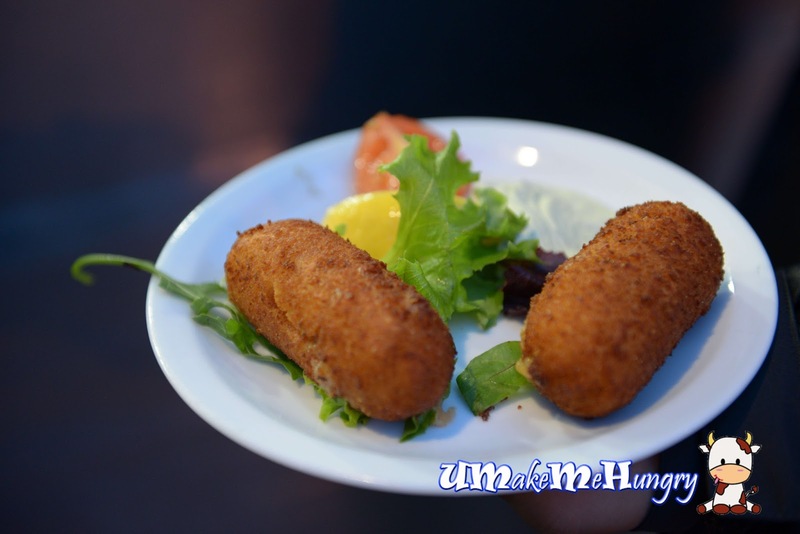 Croquettes were deep fried and took longer time to served than the rest. The golden brown exterior texture accompanied by the leafy greens, tomato and lemon wedge had simply bought my appetite. Biting down the croquettes carefully and revealing its marshy seafood fillings, I would say they were quality stuff. 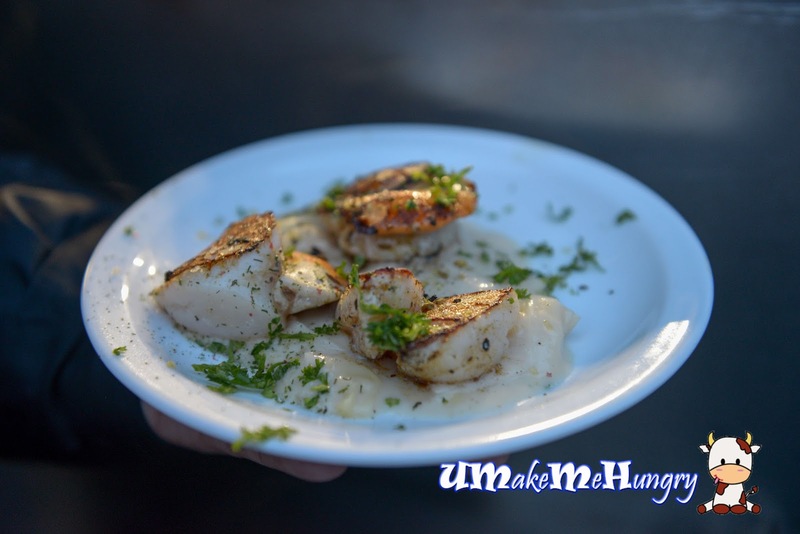 Seafood taste might be a little strong for some here and you can squeeze some lemon juice over to reduce the seafood smell. 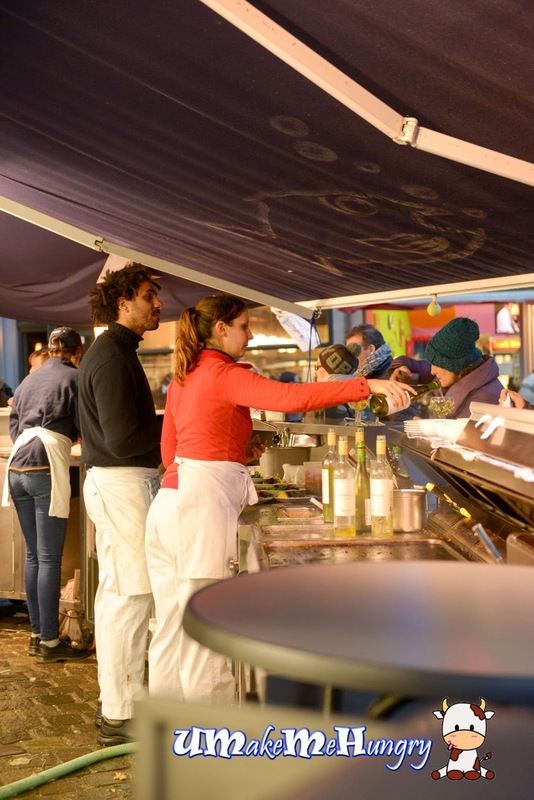 This is a perfect spot in Brussel where you can enjoy quality and fresh street seafood cook right on the spot based on order. The different experience in leaning against the counter or even one of the high tables and consume the seafood while standing up was really not a usual practice we have in Asia. If ever I'm back again, I will visit this place for sure.